I think I have talked before about my mom and family not acknowledging Grace at certain times and how it bugged me. 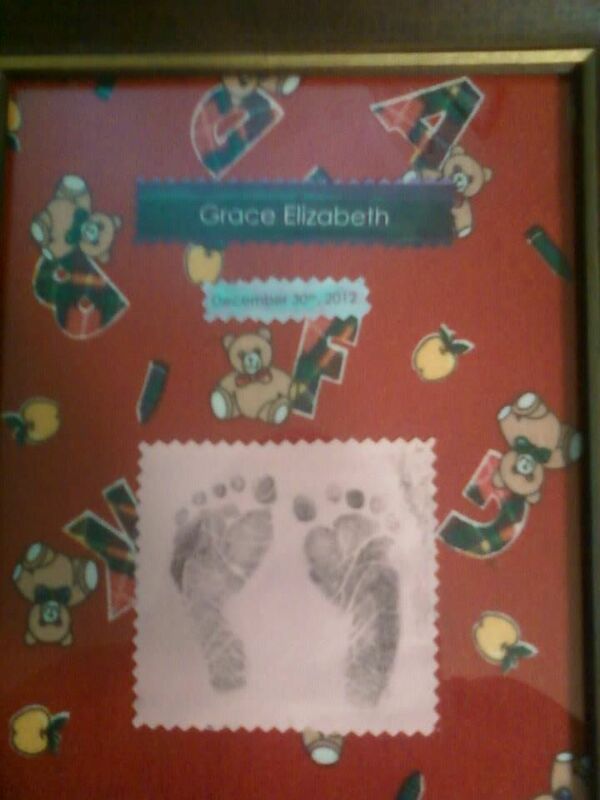 My mom and dad finally moved into their own place last year, and she created a sweet frame of Grace’s footprints and date to hang on her wall. My beef is with Jim’s family. The only sign of Grace in their entire home is her footprints on the fridge. Jim and I told his mom and asked her to do something to acknowledge her in a bigger way, but I guess she doesn’t care. And it really bothers me. 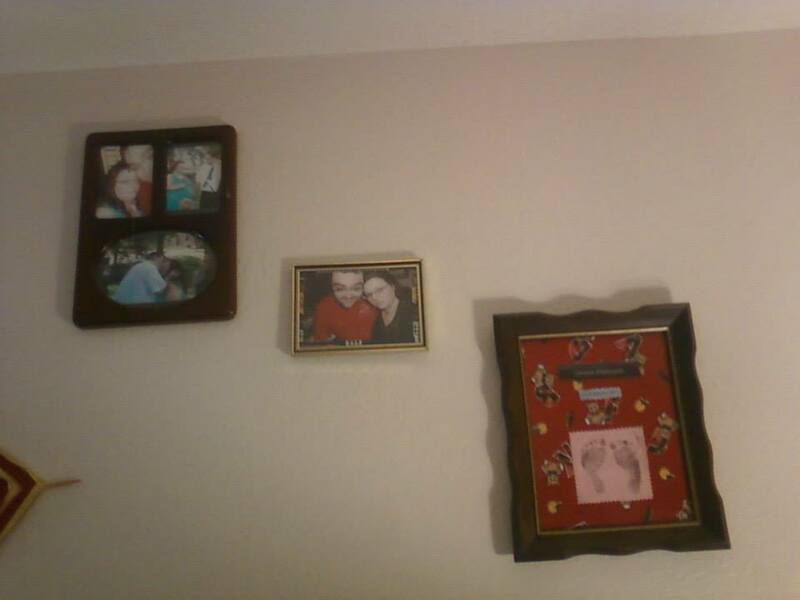 For the longest time they kept their pics of Jim and I in their spare bedroom. They have since been moved to the living room. Prior to that, their photo displays have been largely dedicated to Jim’s siblings, especially Lisa and her family. If you look back at family photos, you can see that Jim was rarely in them. I asked him about it and he said it wasn’t because he didn’t want to be photographed, but because they didn’t want to include him. Of course, I am biased, because he is my husband and I will defend him if I feel someone is hurting him. Especially after his hospitalization when I realized that some of his family members seem out to get him. I have big beef with his mom about many things, but I try to take the high road and behave like an adult. It just really bothers me! I am Grace’s mother, now and forever. Nothing will change that. Why can’t the put up a pic of her, or at least honor her the way my mom did? Jim said it feels like no one cares about Grace, except maybe my mom. I know people care, but his parents used to talk about her regularly. Now it feels like they have forgotten her. 😦 I guess it bothers him too.